Ophrys apulica is very similar to Ophrys fuciflora (Late Spider-orchid), but the two distinct differences are that the petals are longer, and the lip is 'waisted' and appears to be constricted midway down. The lip is also much more deeply notched at the bottom than that of Ophrys fuciflora, and somewhat paler in colour. This orchid is reported only from Italy and its name apulica means 'from Puglia'. We found it on Monte Gargano, and there are other unconfirmed reports from Tuscany and Umbria. 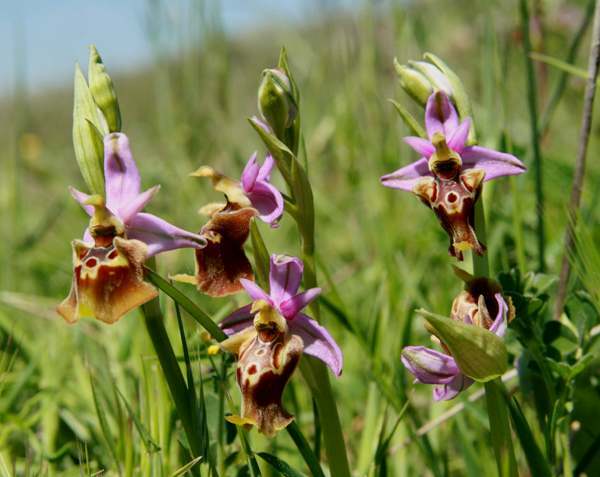 This orchid grows in the same kinds of places as Ophrys fuciflora - open limestone grassland - and flowers at the same time. 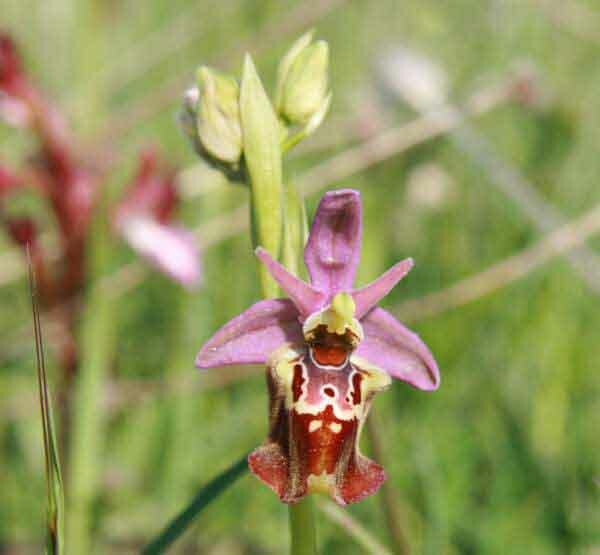 The specimen shown here was photographed close to Monte Sant'Angelo in the Gargano Peninsula in Italy in mid April in very close proximity to many Ophrys fuciflora plants.